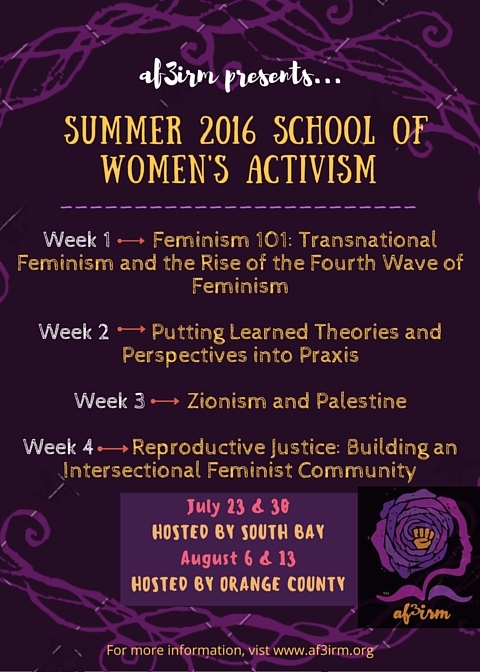 The Summer School of Women’s Activism (SSoWA) is produced and presented annually by AF3IRM. Aimed at educating women to understand feminism, with particular attention paid to transnational feminism, and at encouraging women to become more conscious and engaged politically, SSoWA provides a space for participants to learn, discuss, and grow together, personally and collectively, politically and intellectually. 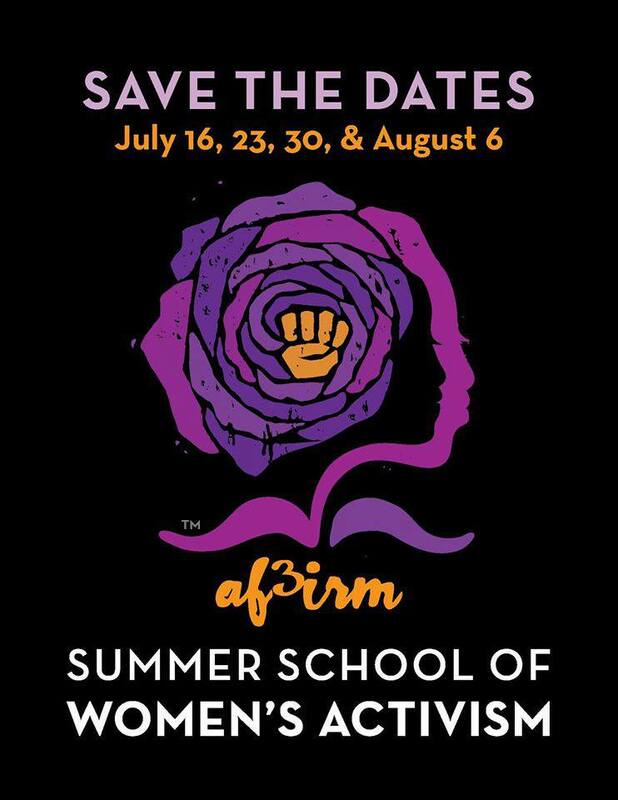 A woman’s place is in the struggle to build feminist theory and action and to learn and create her-story and registered students will meet to engage in this struggle with AF3IRM members and leaders. SSoWA is held and hosted by various chapters and dates vary by location.